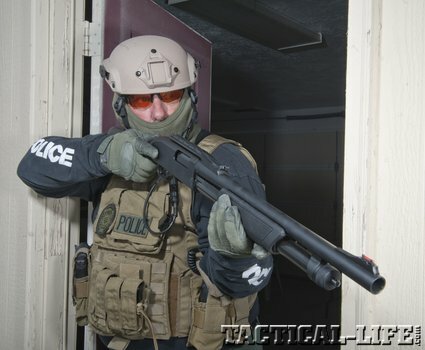 The FN P-12 shotgun is a pump-action 12 gauge built for entry operations superiority! 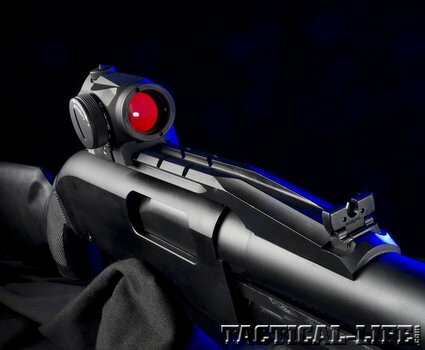 While semi-auto shotguns have certainly seen a surge in popularity the last few years because of 3-Gun competitions, the pump-action shotgun remains a favorite for law enforcement deployments. As reliable as the new semi-autos are, you cannot beat the simplicity and rugged functionality of a pump shotgun. A pump gun will run just about anything you put through it. 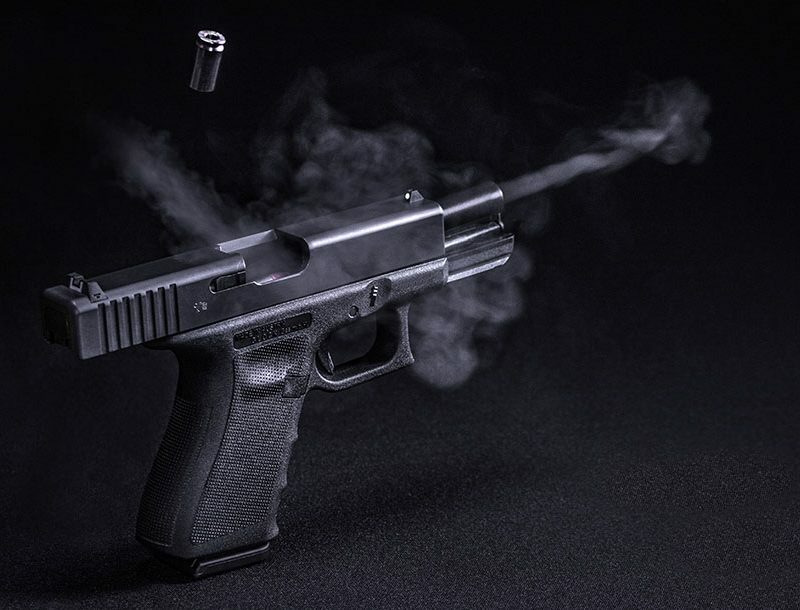 Some semi-auto shotguns have trouble with low-recoil or low-brass ammunition, making even practice problematic. 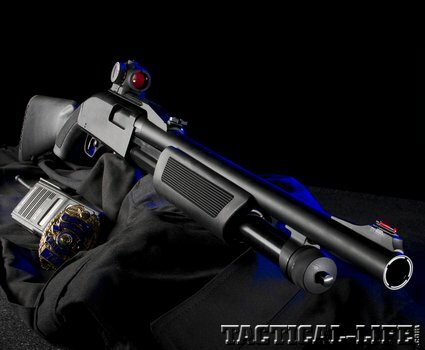 If you want one shotgun to run all of your ammunition, including specialty rounds, you really need a pump action. Another factor to consider is cost. Many semi-auto shotguns suitable for duty use have prices starting at a grand, keeping them well out of reach for most departments. 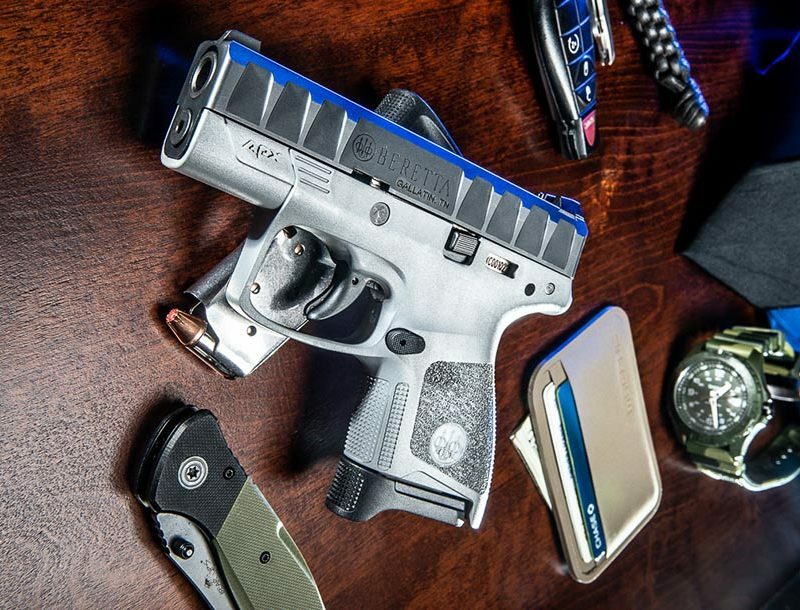 Start adding those necessary accessories and you can easily double the cost of the gun. 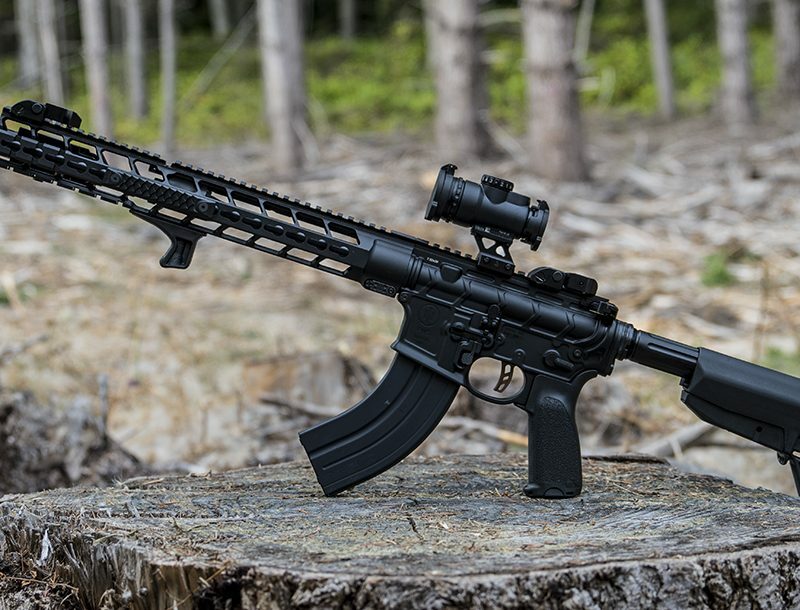 Given the rise in patrol rifle use, it just takes them right out of the equation. Most officers with that kind of money to spend buy a rifle, and most agencies are in the same boat. It’s possible, for the right prices, for an agency to issue an officer both a rifle and a pump shotgun for the price of a well-equipped semi-auto shotgun. Although several companies are now importing shotguns suitable for duty use, many are price-driven, leaving some of the quality behind. 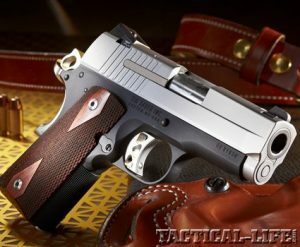 Those with the necessary quality are not cheap, making it difficult to compete with American-made shotguns. Import restrictions also make it difficult to import any shotgun set up as a tactical gun. Only shotguns for “sporting purposes” can be legally imported. That precludes folding or collapsible stocks, railed forends and other tactical accessories. Contrary to what some will say, this applies to all shotguns—not just semi-autos. This makes it difficult to compete and many simply stay out of that market. Not so with FNH USA, the American component of Belgian Fabrique Nationale or FN. Whether working in the field, in and around a car, or inside a shoothouse, the FN P-12 was flawless, accurate, and utterly reliable.